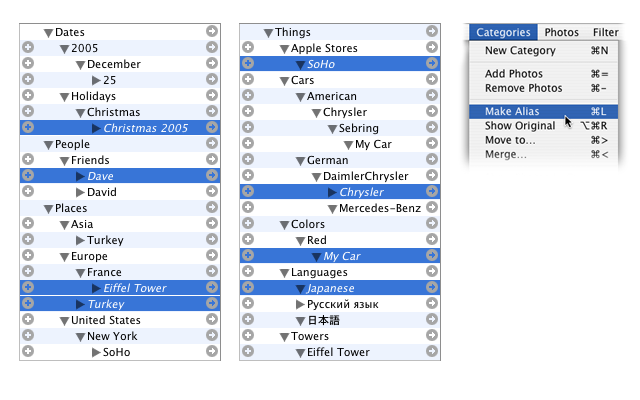 You can create aliases of Shoebox categories, just like in the Finder. Aliases let you establish relationships between categories and teach Shoebox about the world. The aliases above show that Christmas is in December 25, Turkey is in both Europe and Asia, Apple has a retail store in New York, DaimlerChrysler owns Chrysler, my car is red, etc.